Last week we were at the official opening of the Nazareth Community of Care retirement village and care complex in Christchurch, located on the 8 hectare site of the former Nazareth House in Brougham St. We’re proud to have been chosen to landscape this fantastic new complex. 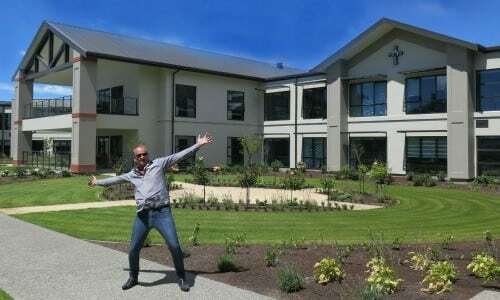 Welcome to the Nazareth Community of Care, a new retirement village and care complex being developed in Christchurch by the Sisters of Nazareth. Situated on 8 hectares of established grounds, the community is located on the site of the former Nazareth House aged care facility, Brougham St, Sydenham. Nazareth Community of Care will provide independent living options by way of retirement villas alongside rest home, hospital and care facilities. A new convent and chapel will also be built.